Move beyond awareness to intentional engagement in effecting justice in response to the challenge of childhood poverty in the United States. Inaccurate perspectives about childhood poverty can become a barrier to action because the issues seem so complex. Grounded in the sermon “Rizpah’s Children,” this book provides concerned readers with more nuanced and accurate understanding of the situation and the human beings involved, as well as a biblically based roadmap for taking practical action. Featuring the voices of parents, grandparents, caretakers, and children, each chapter highlights community organizations whose diverse efforts are focused on alleviating the impact of poverty in America. 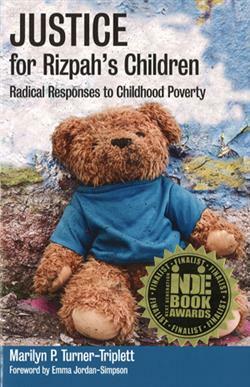 Marilyn P. Turner-Triplett, MDiv, DMin, is founding director of American Baptist Home Mission Societies' Rizpah's Children program, which seeks to create a network of community outreach ministries that provide long-term solutions to the complex challenges faced by children affected by poverty. Turner-Triplett preaches and teaches throughout the US and Puerto Rico. Her articles have appeared in magazines such as The Christian Citizen and Sojourners.